Heidi S. Alexander, Esq. is the director of the Massachusetts Law Office Management Assistance Program (MassLOMAP). She advises lawyers in all aspects of practice management, provides guidance in implementing new law office technologies, and helps lawyers attain healthy and sustainable practices. Heidi frequently makes presentations to the legal community and contributes to publications on law practice management and technology. She is the author of Evernote as a Law Practice Tool, an American Bar Association (ABA) publication, a white belt in Legal Lean Sigma Project Management and Process Improvement, and the architect behind the ABA’s Women of Legal Technology initiative that celebrates and encourages women in legal technology. Heidi serves on and leads a number of volunteer boards and committees, including serving as co-chair of the Women’s Bar Association’s Solo and Small Firm Section and co-chair of the Massachusetts Continuing Legal Education Practice Management Committee. She serves on the ABA’s TECHSHOW Planning Board, the Boston Bar Association’s Solo and Small Firm Committee, the Massachusetts Bar Association’s Sole Practitioner and Small Firm Committee, and the Lemberg Children’s Center Board of Directors. In 2017, Heidi was appointed to the Massachusetts Supreme Judicial Court’s Standing Advisory Committee on Professionalism. 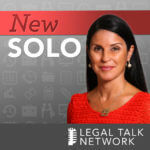 Prior to joining LOMAP, Heidi owned and operated a web consulting business and solo law practice. She also taught nonprofit law and technology courses as an adjunct faculty member at a local community college. Before becoming an entrepreneur, Heidi practiced employment law at a small Boston-based law firm and clerked for a justice on the highest court of New Jersey. Her commitment to public service began straight from college when she worked for a nonprofit women’s business assistance center helping low income and minority women launch and grow their businesses. What’s a Digital Marketing Strategy and how do I get one? Tips for lawyers who are serious about making their marketing matter, including finding your target audience and using the questions your clients are asking for content ideas. Josh Stark from Ledger Labs talks about self-executing contracts, Bitcoin, and how blockchain technology could impact the practice of law. 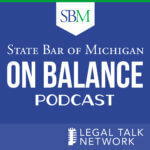 Heidi Alexander talks with Lawyerist founder and editor in chief Sam Glover about how lawyers can increase their organization and productivity. The Lean Startup: Eliminating Wasteful Practices in Your Law Firm? 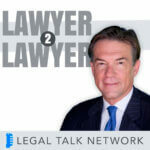 What Does the 21st Century Legal Career Look Like?